The average price of a new apartment in Prague has climbed up to 75,791 CZK per square metre during the second quarter of 2017. That is 15% more than in the same period last year, when a new apartment cost 65,992 CZK per metre on average. This also impacted the prices of the older apartments in the city. Their price has risen 14% to 76,740 CZK per square metre. These are the results of the statistics of the companies Trigema, Skanska Reality and Central Group. Expensive housing coupled with the lack of available apartments increases the trend of so-called suburbanization, which means people are moving to the city borders and beyond them. Suburbanization is generally considered to be a negative phenomenon, and moving because of the lack of affordable housing even increases it. Suburbanization in Prague and its surrounding area is the main interest of Filip Figlar, an architect from the Institute of Planning and Development of Prague (IPR). According to the research, the number of inhabitants in Prague increased by 120,000 persons between 2001 and 2015. In the Central Bohemian district, the number was 220,000, which is almost double. “In the last couple of years, people were moving out of the city because of the desire to have their own house with a garden. They didn’t mind even a long commute, everyday dependency on carpooling, and insufficient public facilities. 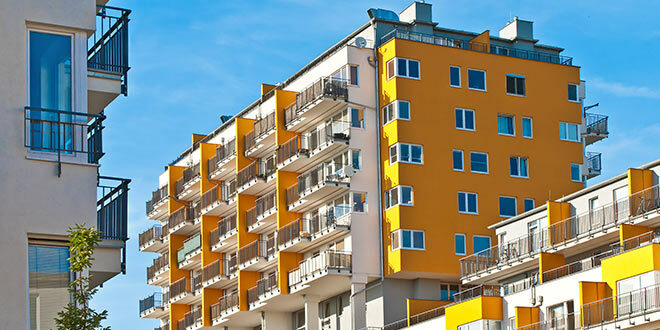 Nowadays many people are aware of the advantages of living in the city, but the lack of apartments and their prices in the centre make it impossible for many of them,” says Filip Foglar, the architect from IPR. According to him, moving out of town is a huge economic and ecologic disadvantage for the municipality. “For example, in the compact city, the ratio is only 40 cm of sewage system per person, while for people outside Prague it is 5.5 metres. And we are not even speaking of the inefficiency of introducing mass transit to these locations,” says Foglar. Foglar has created a map, from which it can be seen that the biggest decrease in population in Prague has happened since 2001, particularly in Prague 1, Prague 4 and Prague 11. On the contrary, the biggest increase in population happened in the bordering parts of Prague and the villages outside Prague. “We can see a big increase in Prague 13 and Prague 9, where it was supported by the building of new apartments on the brownfields, which are not blocked by the zoning plan,” Mr Foglar says. The huge increase in the population of bedroom communities very close to the capital city is influenced by the prices of the plots. They are much cheaper outside Prague. “The big increase in the population is caused not only by a better price and good accessibility, but also by the original zoning plans, which enabled such development. Jesenice and Velke Prilepy are good examples. In Milovic, the increase is also due to changing the former military area, abandoned by the army, and systematic efforts of the town to develop,” Foglar explains. The decrease in the population of Kladno (3382 people) is also worth mentioning. “Here it is caused by the decrease in the job opportunities in the industry, as well as by the insufficient and stagnating quality of the transportation to Prague. Despite the huge potential of Kladno, which is one of the hearts of the metropolitan region, the improvement of the transportation, which would initiate the relationship with Prague, as well as the interest in living in Kladno permanently, cannot be seen anywhere in the near future,” Foglar adds. 170 thousand people commute to Prague for work every day, and it is assumed that this number will grow in the future.